← Social (science) notes from all over. The Spirit of Margaret Davidson. …7Fifty men from the company of the prophets went and stood at a distance, facing the place where Elijah and Elisha had stopped at the Jordan. 8 Elijah took his cloak, rolled it up and struck the water with it. The water divided to the right and to the left, and the two of them crossed over on dry ground. 11 As they were walking along and talking together, suddenly a chariot of fire and horses of fire appeared and separated the two of them, and Elijah went up to heaven in a whirlwind.12 Elisha saw this and cried out, “My father! My father! The chariots and horsemen of Israel!” And Elisha saw him no more. Then he took hold of his garment and tore it in two. (In the argot of her native South) Margaret Davidson passed on this week. It is with profound sadness that I share with you the news that our beloved colleague, Margaret Davidson, has passed away following a long illness. Margaret was the greatest visionary I ever had the pleasure to meet—and she was a visionary who took action. When she spoke of “now,” she meant two to three years down the road because she was always thinking that far ahead of the rest of us. She was a mentor, confidant, and a friend to me and to many other in the global coastal community. Margaret Davidson had been an active participant in coastal resource management issues since 1978, when she earned her juris doctorate from Louisiana State University. She later earned a master’s degree in marine policy and resource economics from the University of Rhode Island. She also served as special counsel and assistant attorney general for the Louisiana Department of Justice and later as the executive director of the South Carolina Sea Grant Consortium. Margaret joined NOAA as the founding director of NOAA’s Coastal Services Center (CSC), where she created a customer-driven organization that accelerated the use of technology, tools and skills required to make informed coastal economic development and ecosystem management decisions at all levels of government. She then served as acting director of the Office for Ocean and Coastal Resources Management when that office and CSC merged to form the new Office for Coastal Management. As the reorganization received official approval, Ms. Davidson took on the challenge of establishing a newly created position as the NOAA Senior Leader for Coastal Inundation and Resilience. Margaret served on numerous local, state, and federal committees and provided leadership for national professional societies. She focused her professional work on environmentally sustainable coastal development practices, the reduction of risk associated with extreme events, and climate adaptation. 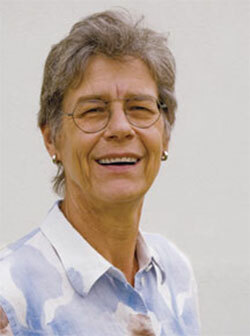 During her illustrious career, she was a Fulbright Fellow, American Meteorological Society Fellow, Gilbert White Fellow, and Zurich Fellow for Climate Adaptation. Davidson also served as the acting assistant administrator for NOAA’s National Ocean Service from 2000 to 2002. Margaret was the consummate networker, with a mind that served as an encyclopedia of existing and potential partnerships. She was gifted in recognizing and capitalizing upon common goals, and she never took her eyes off of the importance of community engagement in protecting coastal resources around the nation. Her life and career will cast a long shadow for those who follow the trail she blazed in coastal zone management. There will never be another person like Margaret Davidson. We can only honor her memory by carrying on the legacy she established. “Long illness?” True, but Margaret didn’t just quietly suffer. She engaged cancer in a titanic struggle, living not months but years longer than medical experts had predicted. Throughout, she showed levels of energy, poise, even cheer, laced throughout with signature-Margaret-Davidson frankness. She was the winner, not the illness, in ways that will be everlasting encouragement to us all. “Visionary? Margaret had vision all right, but she also had “execution” in her DNA. That’s a rare combination. Most mere mortals have one but not the other. Whether Margaret came around to our offices, or spoke to us in a crowd of 500, when she said, “I have a dream…” you and I knew that dream included actual work that we were going to have to do, actual steps we would have to take, actual follow-through that she’d check the next time she would pass by. “Illustrious career?” Hers was illustrious indeed, but it was nowhere near so widely on display as it might have been. Too often the world lacked the courage to give her some of the roles for which she’d volunteered. She applied for several senior leadership positions across the national landscape but was turned down because she lacked a conventional science credential. What she offered instead was far rarer, and potentially far more valuable – a true customer-orientation. She saw federally-funded research institutions as legitimate to the extent they were meeting national needs and providing tangible, on-the-ground societal benefit. Wherever she found herself, she worked night and day toward this end, and she constantly exhorted those around her to do the same. It’s not hard to imagine that had she been given greater purview, that climate research and services – to name just one example – might today be viewed more favorably by leaders and publics across the political spectrum. But in the event, most institutions shied away from committing to such a sea change. With one exception: NOS and NOAA. And as Russ Callender captured so well in his letter, Margaret played a major role in personifying both inwardly to NOAA and to the outside world that all of NOAA was not just science-based but customer/service driven. We all believed it because she modeled it. We all benefited because it was the right thing to do. “Consummate networker?” Again, the words are right but the reality was far more vigorous. They fail to capture what Margaret accomplished, early on, through peripatetic travel and unstinting face-to-face efforts, and even to the end, when travel was no longer a possibility. One day the history books will recount American- and world triumphs over sea-level rise, coastal degradation, and more. Margaret’s role may only be imperfectly acknowledged, but it will always remain real. Russ closed this way: There will never be another person like Margaret Davidson. We can only honor her memory by carrying on the legacy she established. Which brings us to that Old Testament story of transition – from the prophet Elijah to his successor, found in 2 Kings, Chapter 2. In that story Elisha asks for, and receives, a double portion of Elijah’s spirit – the portion due in those times to the eldest heir. None of us got to see Margaret taken up to heaven in a whirlwind. She leaves no single successor. But she leaves something breathtakingly better, a small army of folks who recognize the truth and appropriateness of Russ’ words. Together we can carry on the legacy she established. She wouldn’t be satisfied with anything less – and she’ll be checking up on us the next time she passes by. 10 Responses to The Spirit of Margaret Davidson. Margaret was a true original. In any conversation with her, she would throw out 892 new ideas in the first two minutes…and then she’d really get warmed up. She drove her staff to distraction with her energy and her idea generation, but there was a genuine affection for her among them that was palpable. She was a lawyer and a Texan, and in spite of that she was one of my favorite people. A wonderfully quirky and passionate person with a wry dry sense of humor. She will be missed. A truly vibrant spirit. Love her and miss her. Thank you so much for sharing your thoughts on, Margaret Davidson. She has been an incredible inspiration to me personally and professionally, and I will hold her in my heart always. The federal government is certainly a less bright, less irreverent, less awesome place without her. I’m happy to know that she spread her knowledge far and wide, and hopefully all of us can build on her vision. Wow. A hero of mine. I learned a lot from Margaret and appreciated her since we first met in 1993. You nailed it Bill – thank you! Margaret’s army will carry on – and we will keep the torch lit – for when Margaret led – who could help but follow? Thanks, Bill for your usual insightful comments! Margaret even had visions for the National Weather Service. We had frequent discussions about how things were and should be. She encouraged you to move to how they should be. I will always remember her Facebook posts of her flowers. The flowers were beautiful, but never as beautiful as Margaret!